Many of u might think the title is contradictory, pulao n nutritious??? 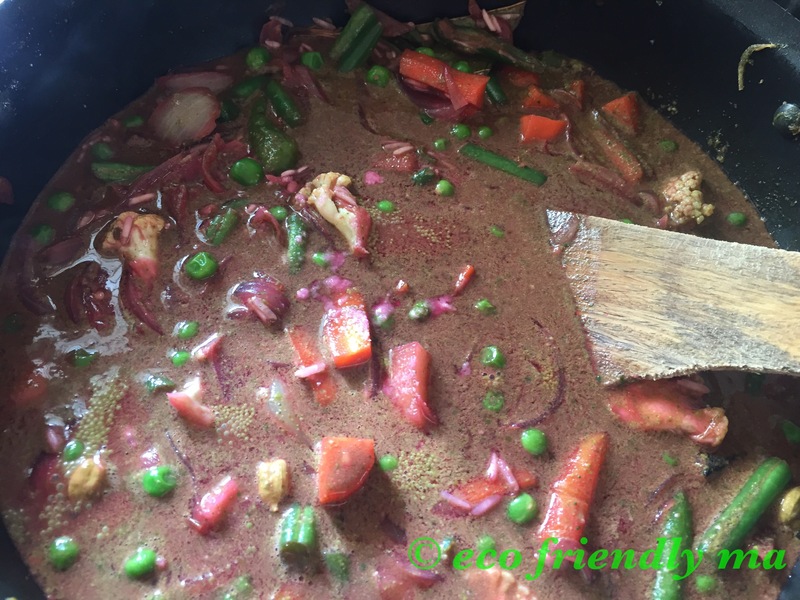 Yes this is – I’ve used just 1tsp of ghee, coconut milk, carrot n beetroot juice, spinach juice n loads of veggies- convinced? N it tastes real good! 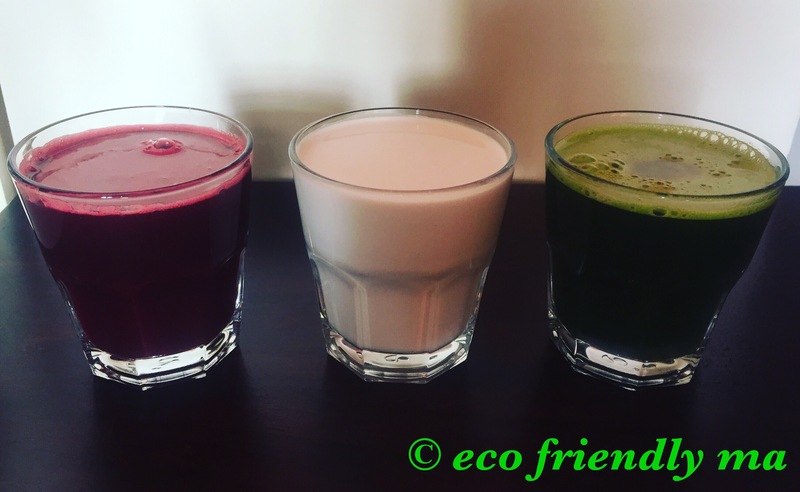 How to prepare 3 juices: Coconut milk – Add shredded fresh coconut into the mixer, and a little water 💦 n blend for few minutes until thick n creamy. Strain it n squeeze using a muslin/cheese cloth. Simple! Similarly prepare the below juices.. Carrot n beetroot juice – I have used 1 large carrot n beetroot. Soak basmati rice 🍚 in water. 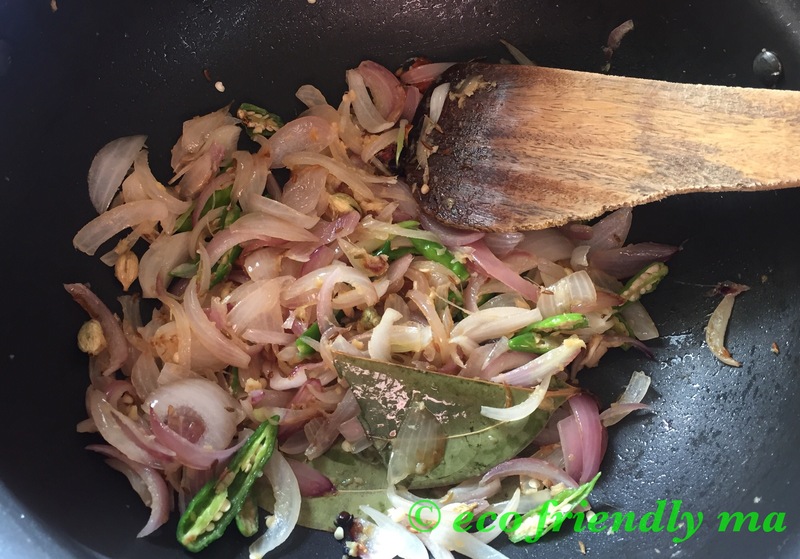 Add ghee in a non-stick/thick bottom cooking pan, add spices n sauté until fragrant. Add the veggies, sprinkle some salt n sauté for 2 mins. 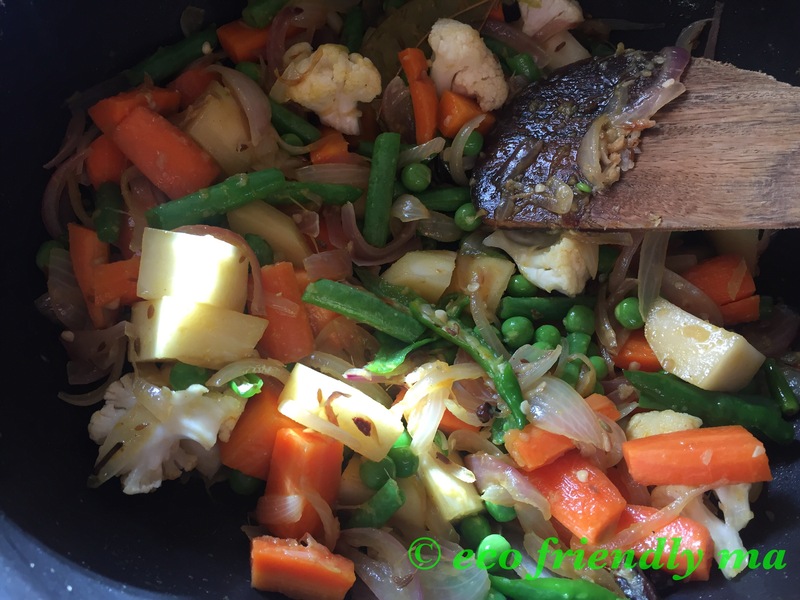 Close the lid n let the vegetables get steamed for 10 mins. Drain the water n add the basmati rice 🍚 n sauté. 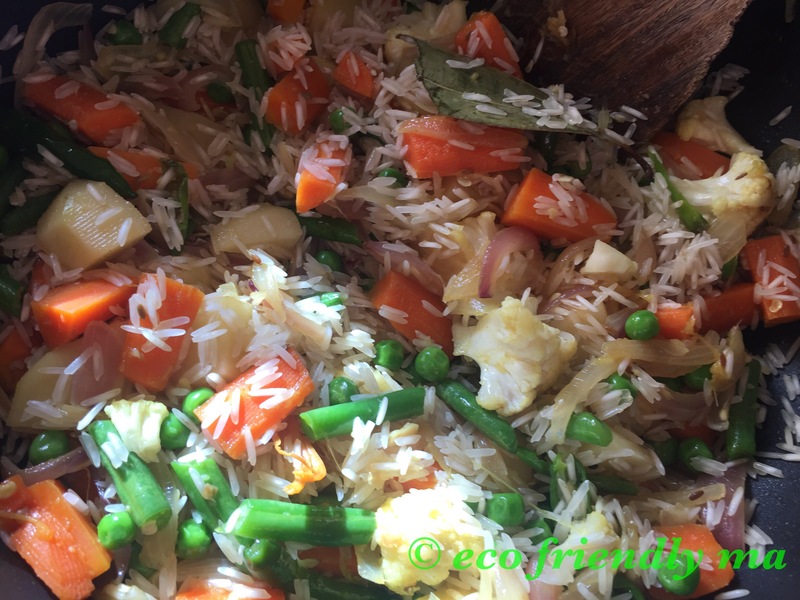 Cook it in the rice cooker… Once done, transfer to serving bowl and serve piping hot along with raitha!